Late last Thursday, I got the official call from the CW about THE SELECTION pilot being passed over. From what I understand, it was very well received, but when the executives got into the boardroom and actually had to arrange the schedule, there was just no place for it. I want to thank the cast and crew for their very hard work and wish them luck with their future projects. I’m not bitter about the show not happening, and I want to encourage you to adopt the same attitude. Just because nothing is happening now doesn’t mean something won’t in the future. No worries, guys! Yes, the script floating around is the actual one from the second pilot. I’m asking those of you who haven’t read it to please refrain from doing so, and if you have read it, please don’t pass it along. The studios try to keep those to themselves for good reasons, and, as I mentioned before, the new pilot was meant for very mature audiences. And yes, I do get the rights back and could pursue another television or movie deal. If that happens (and that’s a very big if), it wouldn’t be for a few years. In the meantime, I’m hoping to announce some very cool book-related news soon! Stay tuned! 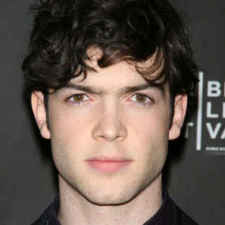 Some of you may have heard yesterday that the CW picked up The Selection as one of its new pilots for the season! At this point, there's still very little else known, but it seems to be confirmed that Aimee is no longer available to play America. I'm sad to lose her, but I can't wait to see what new faces will come to the cast. I'll be updating as new info comes along. Please remember that this doesn't mean the show will make it to air. Just like last year, they could go through the whole process and still not pick it up. But we can cross our fingers together and see what happens! Hey, I just wanted to confirm the rumors. Yesterday, Spoiler TV announced that The Selection reshoots were starting early next year, and that’s true. I haven’t seen the new script yet, but I’m sure that will come about in the next few months. Also coming this fall will be announcements about the new cast. As far as I know, the only person confirmed to stay is Aimee, who played America. Trust me, I’m just as curious as you are to see the new faces coming to the show, and I’ll do my best to keep you updated. I just want to remind you guys that the pilot being reshot doesn’t mean there will necessarily be a show. The CW could still pass on the reworked pilot. However, if it does work out, The Selection should air sometime next spring or summer. Stay tuned! Okay, a few things. First, yes, we have power again and are safe and sound! Thanks for all your concern over the last few days. Second, in case you missed it, The Selection is heading to China! As with most of the translations, I'm not sure when it will be there, but I'm working on that. Honest! And third, The Selection Series Facebook page posted the playlist for The Selection! A few quick notes about this: What You Wish For by Guster is on there twice, but it's only in the playlist once. And there are two songs on the list that playlist.com didn't have, but I wanted you to know they were in there: It's a Disaster by OK Go, and Spinning by Jack's Mannequin. I hope you have fun lining up songs and scenes! In not exactly an update news, I'm hoping to share some info about the CW pilot soon. I have to get the ok from some peeps first! And... that's it. This time next week, I'll be snuggling with Zuzu! Wahooooo! From what I understand, the writers and producers are staying, and Aimee will stay on as America for sure, but some of the characters might be replaced and the script might be reworked. I have no clue and no say over who stays and goes, and I don’t know what they would change in the script. I pretty much find things out as they happen, about 5 minutes before you guys do. Sometimes not even that! There’s a chance that Book 2 will be out before or near the time the show would air, which means there’s more world for you to be grounded in. Maybe it’s just me, but I’m WAY into reading books before watching the shows or movies, so this possibility makes me happy. And I think that’s everything. Stay tuned, of course. TV stuff seems to happen fast! I’ll keep you posted! We have our Aspen! 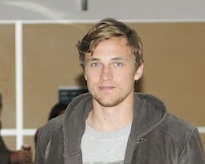 This is William Moseley, who you might remember from the Narnia movies. This picture is actually of William landing in Vancouver to start shooting! According to the writer/producers Liz and Sarah, shooting for the pilot starts in less that 48 hours! I cannot believe how fast this is going! I'm thrilled to see the trio cast, and I'm beside myself waiting to see what they do. I wish them all crazy great luck! There have been several other roles cast, but it's getting way too hard for me to keep up with this kind of posting. From now on, I encourage people to check the Selection IMDb page for updates. If I get any other concrete pilot news I can share, I will. For now, we wait and see! I just realized that I forgot to add the lastest addition to The Selection pilot cast. 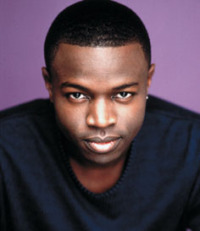 Sean Patrick Thomas is on to play Sylvan, one of the queen's advisors. I'd like to tell you something about this particular character, but I'll probably just get myself in trouble. Alas. I hate keeping secrests! Anyway, Sean has been super sweet, so go follow him on twitter. And now we have our Maxon! If you missed me shouting about this on twitter and FB, I just want to let you know that America Singer has been cast for the pilot of The Selection! For all you Friday Night Lights fans, I'm sure you already know Miss Aimee Teegarden. She's absolutely lovely, and I can't wait to see what she does with the role. Heading to the Small Screen? Well, maybe! It was announced today on EW.com, MTV.com, and also by my mother that the CW has picked up The Selection for a pilot! I'm very excited to see where this goes, and I'll keep you updated as soon as anything new pops up about the potential series. Also! Come visit me this Friday, Feb. 3rd at 9PM EST on BlogTV. I'll be answering questions and giving away buttons!